Of course, the ‘new’ Rembrandt is one of the absolute highlights of The European Fine Art Fair (Tefaf) in Maastricht. But there is much more to discover: from the Flower Still Life by Roeland Savery that was acquired by the Mauritshuis to the gorgeous NASA photos of a moon landing. For See All This, art critic Joke the Wolf selected 10 highlights from this overwhelming choice range. The story of this early Rembrandt’s discovery was so thrilling that all news channels and newspapers had to pay attention to it. Smell is part of a series of five paintings that picture the senses. The other paintings are called The Three Musicians (hearing), The Operation (touch), The Glasses Salesman (sight) and Taste. That last painting was never retrieved by the way. 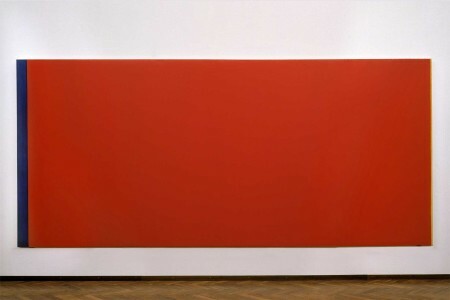 Go and see it, because the painting will not be on view in the Netherlands again soon: its new owner lives in New York. Who doesn’t want to queue in front of the ‘new’ Rembrandt, can go to Kunsthandlung Helmut H. Rumbler down the road to see special etchings and drypoint prints by the old master. Like this etching, made after the example of one of the four ‘Oriental heads’ that Jan van Lievens made in 1631, of which Rembrandt thought he could do better. 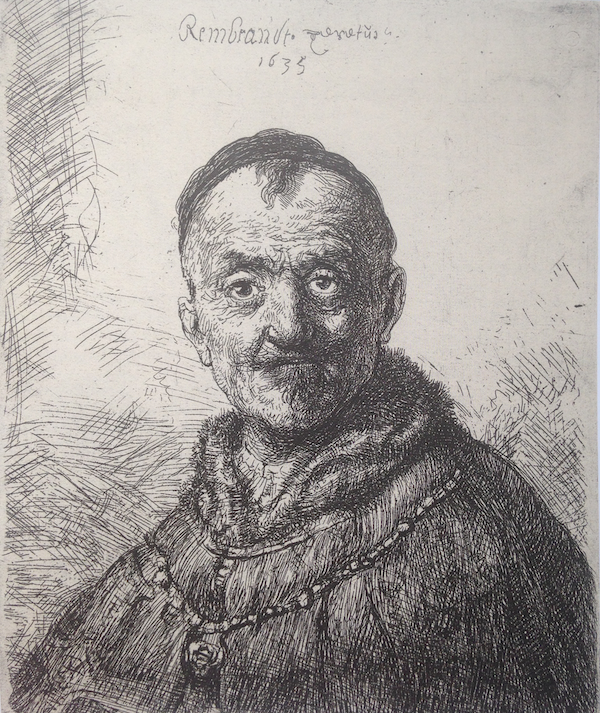 ‘Rembrandt has improved the example in 1635’, he writes just to be sure. 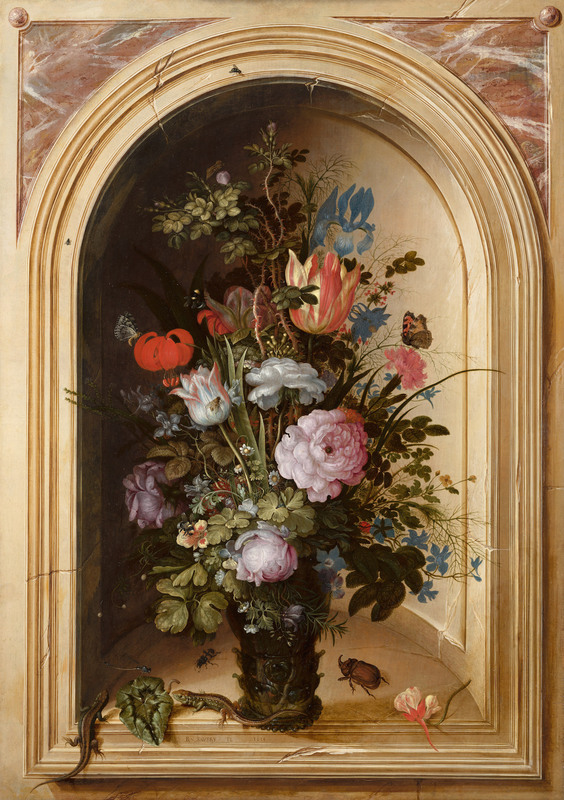 Before the fair even opened, Emilie Gordenker had already bought this flower still life for the Mauritshuis. She payed, with the support of different funds, 6,5 million euro for it. The work of Savery, so she explains, is an important asset to the Mauritshuis collection. Remarkable is the size of the work (the third-largest of Savery’s flower still lives), and the extraordinary details. The glass vase, for example, casts a shadow on the brick frame, and the artist painted his name and the date in such a way that it seems as though they were carved out of stone. 4. 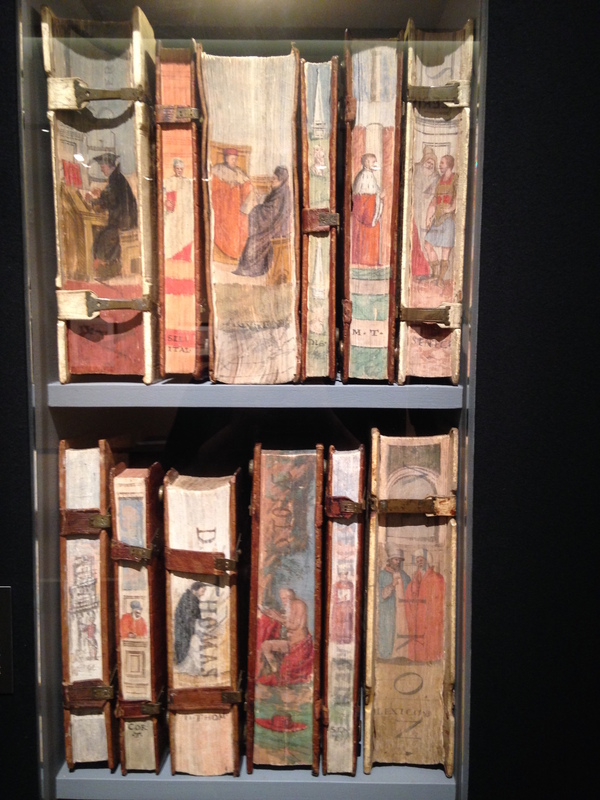 Cesare Vecellio (1521-1601): painted edges of 13 books from the collection of Odorico Pillone. Stéphane Clavereuil Rare Books. Next to all the ‘serious’ art and antique, the Tefaf also enables discoveries of other sorts. For example, there is this collection of 13 books that Cesare Vecellio, a nephew and student of the famous Titian, painted at the edges. The owner of the books, the nobleman Oderico Pillone, asked the artist to make the images in such a way that one could read the subject of the book off them. 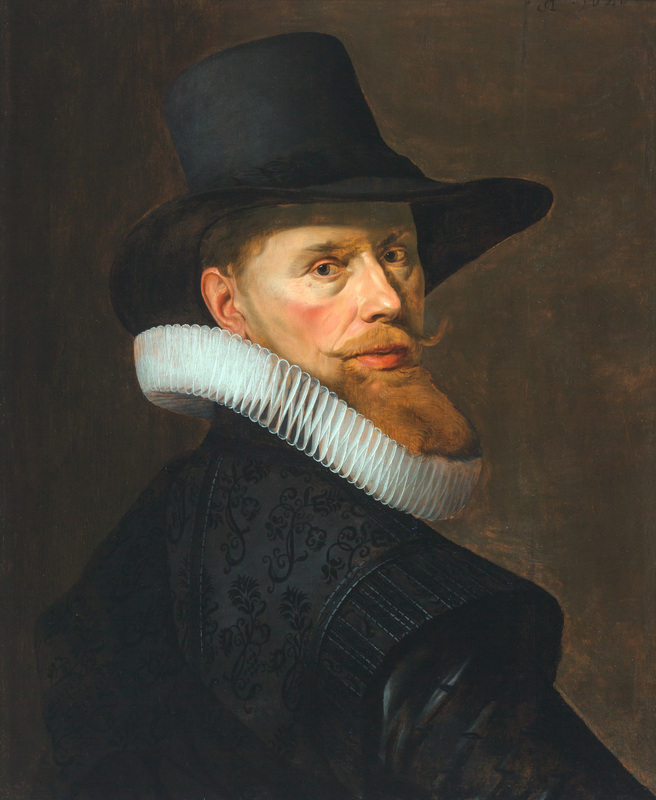 Nicolaes Pickenoy (1588-1653/56) was the portrait painter of Amsterdam – until Rembrandt succeeded him. 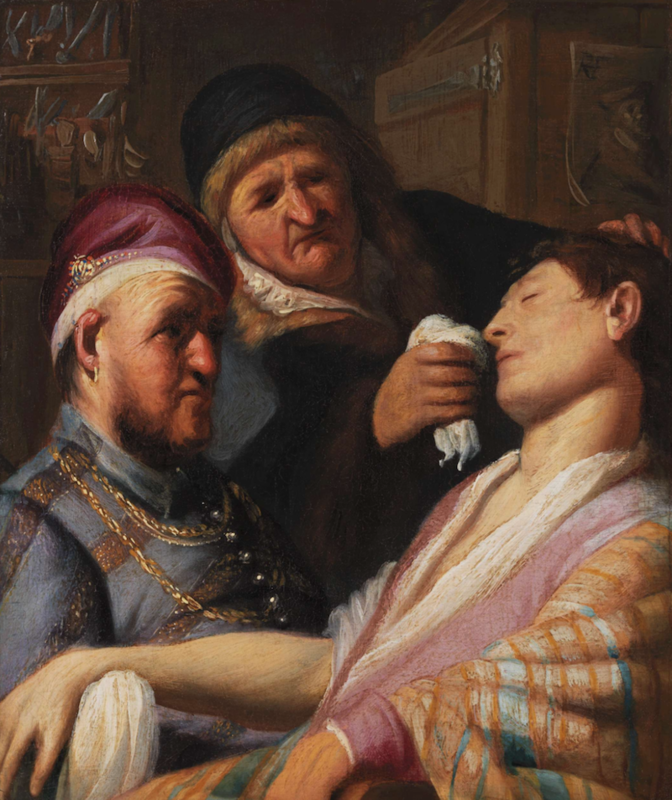 At Salomon Lilian, they discovered that this recently cleaned painting was also Pickenoy’s and who is on it: the wine merchant Dirck van Dans, who had a pretty good collection of paintings himself, among which a Raphaël and a Jan Lievens. Richard Green’s stand is like the living room of a passionate collector, with deep-pile carpet, flower arrangements and curtains. There is even a reading nook, with a window that provides a view over one of the fair’s ‘plazas’. But the focus is on the art of course. The offer is miscellaneous: from a big series of paintings to ‘the father of impressionism’, Eugène Boudin, to a Ruysdael, and from an early impressionistic work by Francis Picabia to Dutch romanticism. 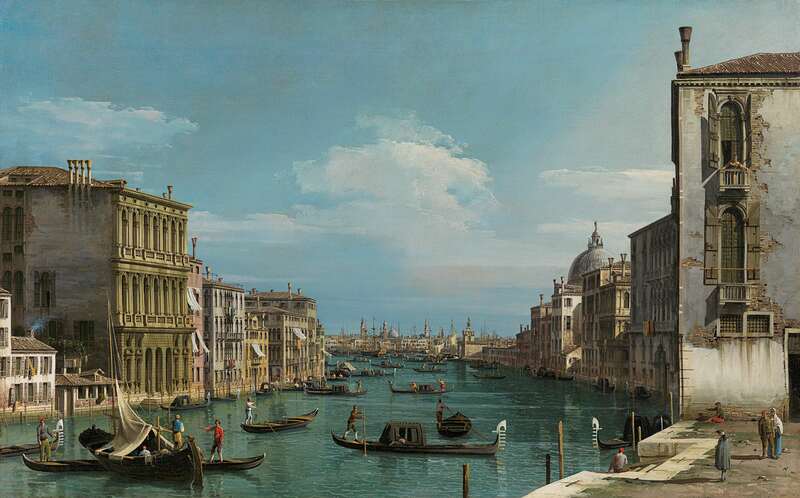 The pride of the London-based gallery is a view of the Canal Grande by Bernardo Bellotto – he called himself Canaletto II, after his teacher and uncle Canaletto. This is an extremely early work by the Czech artist that mainly made coloured, geometrical figures later on. In 1896, he ended up in Paris via the Viennese art academy. 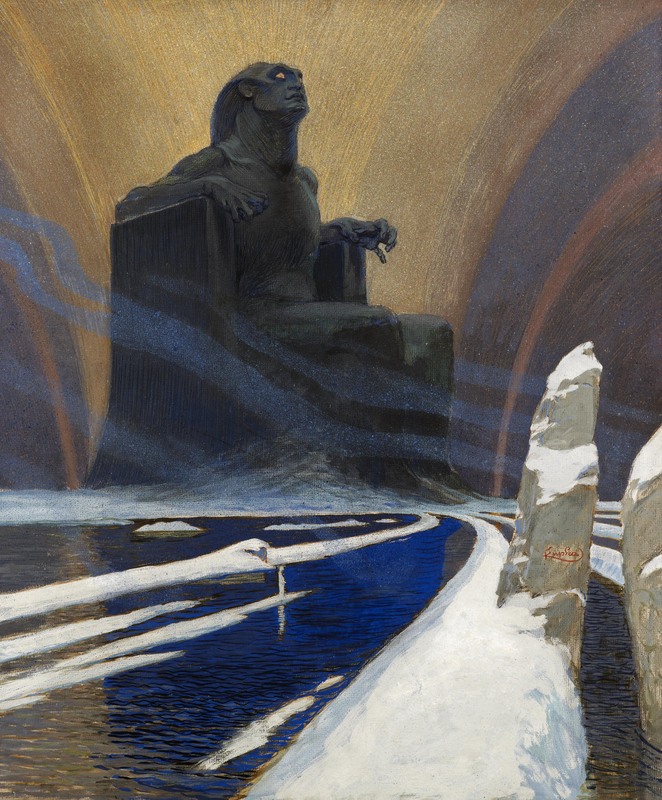 There he continued to work in the symbolist style that he had picked up in Vienna. He made this gouache as an illustration to ‘Dreamland’, a poem by Edgar Allan Poe from 1844. 8. U.S. Army, Operation Tumbler-Snapper, ‘Charlie’ event, Yucca Flats, Nevada, 22 april 1952. Daniel Blau. There is not a lot of photography on view at the Tefaf. However, Daniel Blau has a beautiful combination of a nice series of nineteenth-century photo’s and surprising colour images by the NASA. The latter were made between 1952 and 1969 as internal documentation. 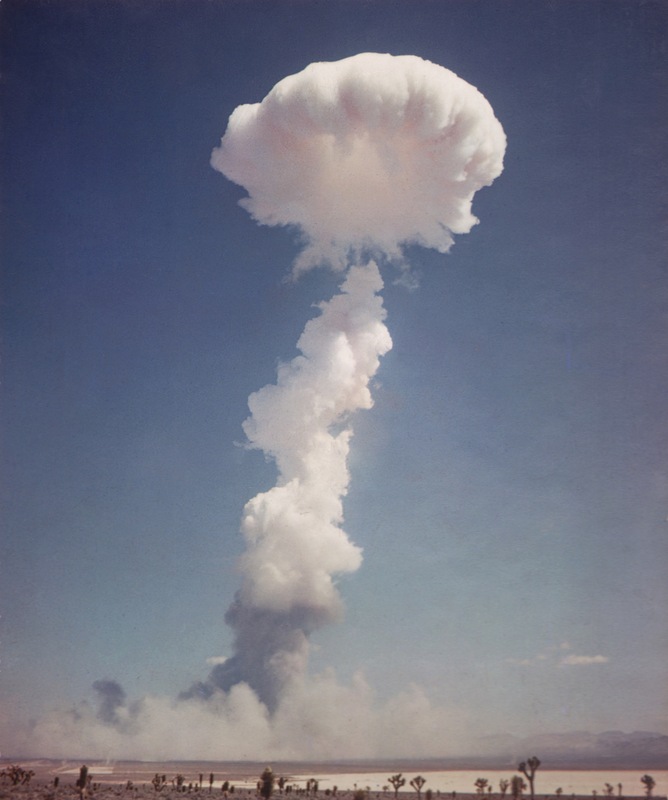 Among them are famous images of the moon landing in colour, and surrealist photographs of tests in the Nevada dessert. In principle, Tefaf is not a contemporary art fair, so you won’t find the ‘big’ galleries such as David Zwirner or Marian Goodman there. 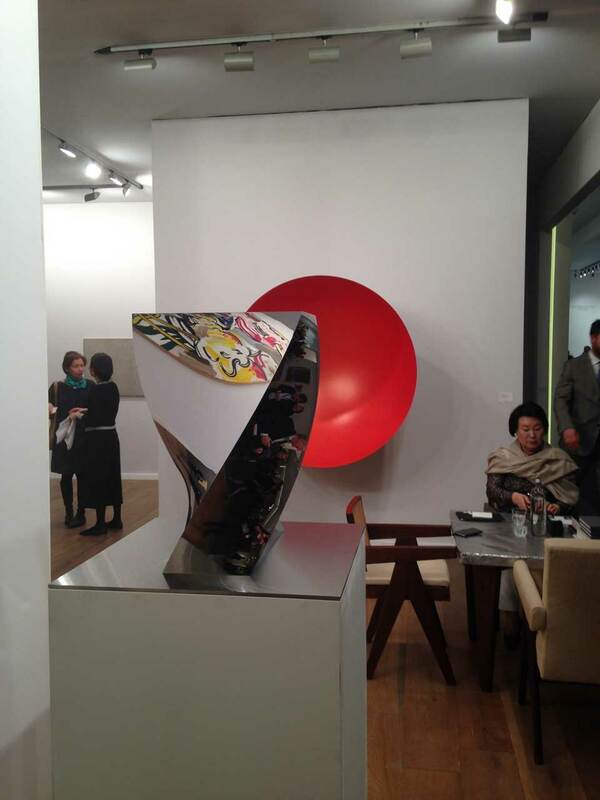 Safe big artist names all the more, like here, in the New York – Korean collaboration between Tina Tim and Kukje Gallery, with two bright new works by Anish Kapoor. 10. Folkert de Jong, The last invasion of Ideas, Bronze, gold leaf, 2016. Photography Pieter de Vries, Courtesy Fons Welters. 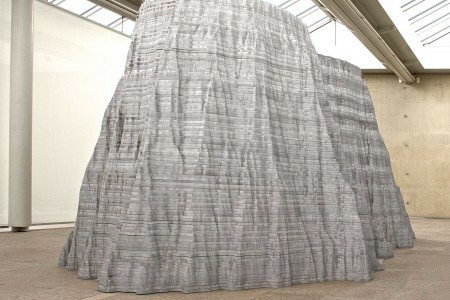 To not completely deny the presence of contemporary art there is a special ‘Tefaf curated’ department, where seven galeries show one or more works by seven contemporary artists, who were all inspired by Joseph Beuys’ work Zeige Deine Wunde (show your wound). It sounds cumbersome, and it is in some cases. But the new work by Folkert de Jong, on view at Fons Welters, is persuasive. 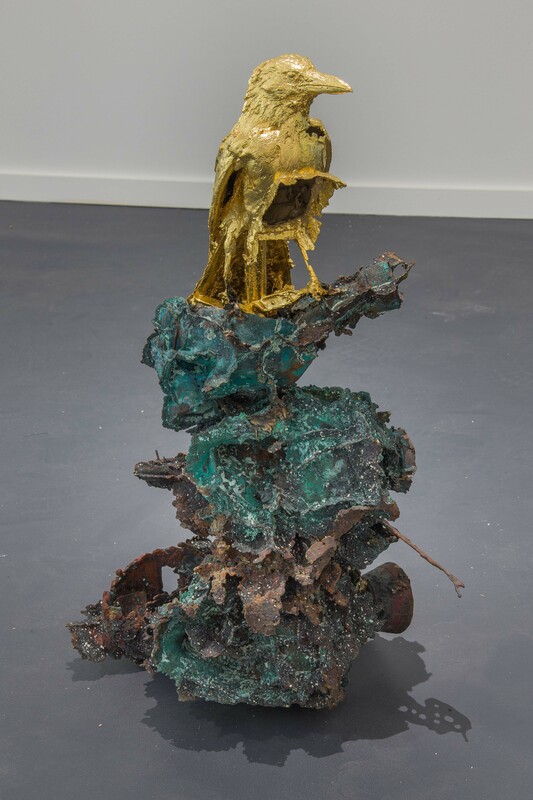 De Jong’s sculpture was inspired by Beuys’ use and exploration of materials – bronze and gold in this case.